As world climate talks open in Peru today, new research shows how fracking is likely to further accelerate climate change, destroy water sources and infringe on communities’ rights worldwide unless urgent action is taken to stop the ‘dash-for-gas’. 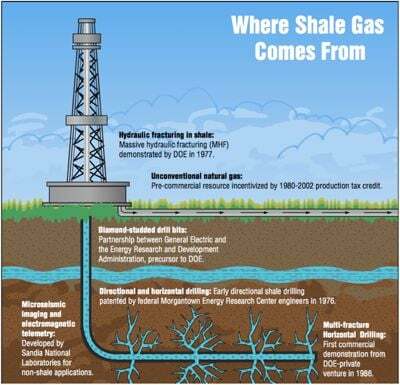 The report, from Friends of the Earth Europe, maps the expansion of the shale gas industry outside Europe and North America with examples of 11 key countries on three continents. It finds that multinational oil and gas companies such as Total, Shell and Chevron are moving into increasingly vulnerable countries in Latin America, Africa and Asia where the ecosystems, communities and authorities are even less unable to cope with the impacts of extraction. Countries such as Mexico, China, Argentina and South Africa, are in earthquake-prone or water-scarce regions and are most exposed to the impacts of climate change. The pursuit of fracking in these countries is likely to exacerbate the climate, environment, social and human rights problems they already face. Friends of the Earth Europe is calling on the EU and other developed country governments meeting in Lima to make meaningful commitments to speed up the transition away from dirty energy sources. “From Brazil and Mexico to Algeria and South Africa, this thirsty industry is exploiting weak regulation and causing untold environmental and social damage in the pursuit of profit.. The fracking industry needs to be urgently reigned in before it’s too late for our planet and people across the globe,” said Antoine Simon, shale gas campaigner at Friends of the Earth Europe. The report details how fracking is a global climate threat. Leakage of methane – a greenhouse gas 86 times more powerful than carbon dioxide – into the atmosphere, even at fracking sites that use the “best available technology”, will cause harmful climate emissions and contribute to a 3.5°C global temperature rise if fracking is developed worldwide. Case studies from the US indicate that due to methane leakage, there is a big risk that shale gas is far worse than conventional gas and almost comparable to coal, so it cannot be a “transition fuel”. The difficulties of ensuring effective regulation and monitoring of fracking are already well-known in the US. European countries are experiencing firsthand the need for caution, but the report shows the threats posed by fracking are even bigger in countries with fewer environmental and human rights safeguards or less capacity to enforce them. 195 nations are gathering for the latest round of United Nations climate talks which start in Lima, Peru today and are a crucial step towards agreeing an adequate, fair global agreement to curb emissions beyond 2020 in Paris next year. European governments are going to Lima claiming to have committed to ‘ambitious’ climate action but the targets they agreed for 2030 are far below what science says is necessary and below Europe’s fair share of climate action. Friends of the Earth Europe believes that industrialised countries must urgently commit to much deeper emissions reductions at home, and to give additional financial, technology and other support to poorer countries on the front line of climate change.